Grado has taken one of the world’s most legendary headphones and made it even better. 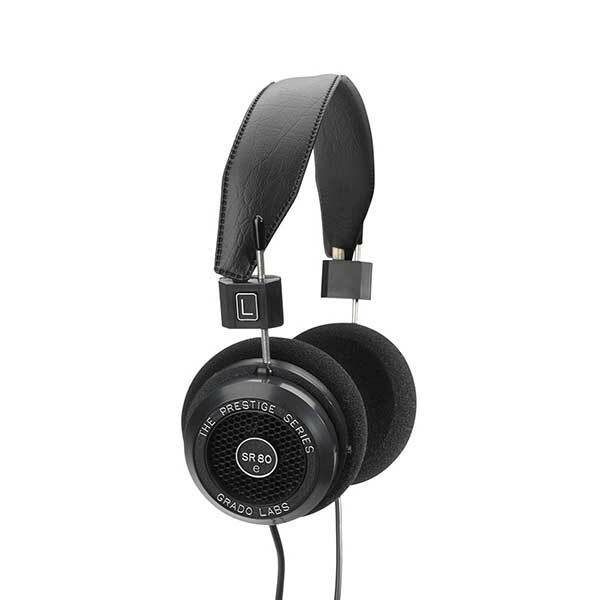 The Grado SR80e Prestige Series Headphones have a new driver design, a new polymer to damp resonant distortion in the plastic housing, and a new cable from plug to driver connection. The way the SR80e’s new driver and plastic housing move air and react to sound vibrations virtually eliminate transient distortions. This allows the signal flow over the new cable to reproduce sound that has improved tight control of the upper and lower range of the frequency spectrum, while supporting Grado’s world renowned midrange. The SR80e will produce a sound that is pure Grado, with warm harmonic colours, rich full bodied vocals, excellent dynamics, and an ultra-smooth top end. Whether you’re into gaming or jamming, our perfectly proportioned soundstage delivers the midrange you love and the details you crave. The 4-conductor cable and gold-plated mini-plug bring the sparkle back to your audio or gaming system, tablet or phone. Play keyboard or guitar in your own head-space with the comfortable S-Cushions and durable embossed vinyl strap. The only distortion you’ll hear will be from your stomp box.